That was where I saw Middlebury when I arrived as its new president in 2015. More precisely, I saw it at an exciting crossroads, with Middlebury as a newly complex institution, with the liberal arts college as our oldest and largest unit, and with the Language Schools, Schools Abroad, Bread Loaf (both the School of English and the Writers’ Conferences), and the Middlebury Institute of International Studies at Monterey all playing increasingly important roles. We were at a point, I decided, where we needed to take a new look at ourselves and learn (and relearn, in some cases) who and what Middlebury is at present—and what it might become. We called that learning process Envisioning Middlebury, and through that process we set out to discern what our vision should be for the Middlebury of today, and tomorrow. Envisioning Middlebury began in early 2016, expertly led by Provost Susan Baldridge and supported by our Steering and Advisory Committees. We took a ground-up approach, gathering as much data as we could about Middlebury. We created dozens of ad hoc groups and conducted surveys and focused conversations, all of which zeroed in on three important questions about Middlebury: Who are we and what are our deepest values? What is the future? And where do we want to go? Those explorations were fruitful, and they gave us great insights and rich material that grew into the strategic framework that we introduced in the fall and that the trustees approved on October 21. It is explored in much detail here. It’s important for me to emphasize that what we’ve created is not, strictly speaking, a strategic plan, but rather a strategic framework—an outline, with lots of room to build, define, and refine. The framework represents a powerful vision for the future, a guide rather than a dictate. It is not a checklist of things to do over the next decade—it is a challenge to us to act strategically every day. Envisioning Middlebury delivers a new way to define Middlebury: a mission statement, a vision statement, four areas of distinction, six strategic directions, and four principles. Our four areas of distinction are our areas of strength, which we don’t just celebrate, but also recommit to and ask how to better leverage. For example, we distinguish ourselves in our global network of educational programs and opportunities. But if we excel in intercultural communication as we travel to different countries, how can we communicate even better across the cultures of our own academic units? Our six strategic directions are a guiding compass that points us toward where we need to focus our attention. One of these directions is a globally networked curriculum, so that our students can take advantage of all we have to offer, in all of the locations where they can be educated. Rather than building new campuses all over the globe, we intend to be more effective leaders by building and maintaining the exciting global partnerships that we’ve already begun (some of which we’ve maintained for decades). As we move forward, we must always keep in mind that we have created this strategic framework not just to add to Middlebury’s scope but to think differently about Middlebury’s scope. We will steward our resources wisely, with the intention that some of the major strategic initiatives that are built around this framework may come without a financial cost, but will instead involve reorganization and rethinking. In 2015, I considered Middlebury to be at a crossroads. At the beginning of 2018, I ask this: if we succeed in implementing the ideas that will come from defining our mission, vision, areas of distinction, directions, and principles, then where will Middlebury be in 2028? Here is what I envision: that Middlebury will have leveraged its strengths differently. That we will offer a curriculum that takes students around the globe and gives them a better sense of place, and commitment to place, with each educational endeavor. That we are shaping leaders who know what it means to lead because they have embraced the experiential component of learning that will be part of all their classroom environments. And that Middlebury will be a place where students participate in public discourse with both intellectual rigor and generosity of spirit. This vision comes from what all of us—faculty, staff, trustees, alumni, students—envisioned for Middlebury. 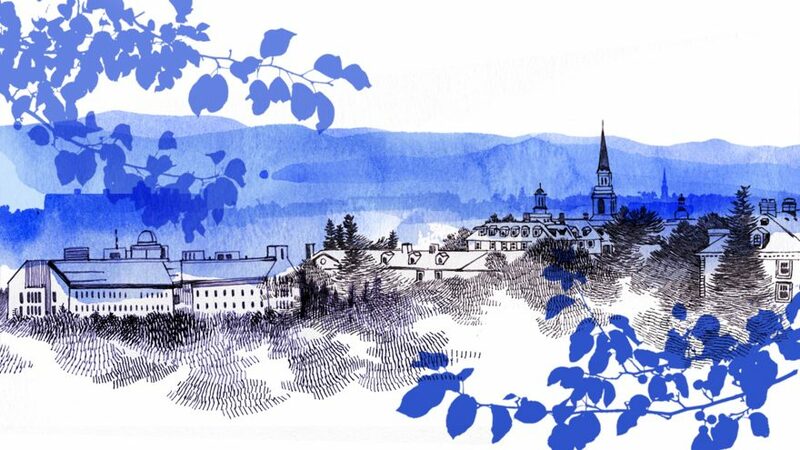 I invite you to engage with us and to share your own visions with me at president@middlebury.edu.